More and more companies are waking up to the need to invest more into their digital marketing; 77% of companies planned to increase their digital marketing budget in 2015, up from 71% in 2014 according to Econsultancy’s Marketing Budgets 2015 Report. The same survey found that the hottest digital marketing channels for increased investment in 2015 were (surprise surprise) all inbound marketing channels: content marketing, lead generation, SEO and email marketing for engagement and retention. With increased investment in inbound marketing comes a bigger need to allocate that budget wisely. If you’re planning your inbound marketing strategy for 2016, deciding what to spend where is essential preparation. 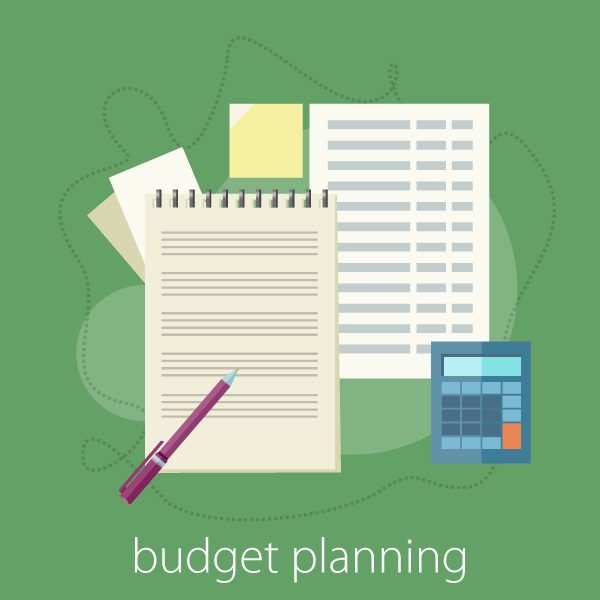 Budgeting will help prioritise your spending, manage your finances and prevent surprise costs. It can also be easily adapted ‘on the go’. Download our Inbound Marketing Budget Planner 2016 and take charge of your finances. This is where clearly defined SMART targets come in useful. The channels you focus on and the way you allocate your budgets will depend largely on what it is you’re setting out to do. To get more traffic to your website for example, producing 'top of the funnel' (awareness stage) content and running SEO and PPC campaigns alongside your social media promotion should be your plan of action. This may mean hiring freelance writers and designers, purchasing publishing software and investing in AdWords and sponsored posts. Moving buyers further down the sales funnel from visitor to lead to customer hangs on your optimisation of your copy, landing pages and calls-to-action, as well as email marketing and retargeting ads. Writing out your inbound marketing budget plan should ensure you don’t overlook anything. Consider all costs associated with each channel you use, such as software, subscriptions, services and freelancer fees. The more time you spend thinking about this now, the less hiccups you’ll have with unexpected costs further down the line. We have suggested plenty of possible costs in our Inbound Marketing Budget Template, but it’s meant as a guideline; you can add to, amend or delete from our suggestions as you need to. For example, you may want to include staff salaries in your budget. Once you’ve allocated funds in your budget plan based on your goals, it’s important to find out where your priorities should lie in terms of which channel proves most effective in helping you achieve your goals and reach your targets. This is something that will differ depending on your organisation, industry and buyer personas; you will only learn by doing. As you move through the months or quarters ahead, you can measure your results against your goals, and identify which segments of your budget are paying off in terms of leads, customers and ROI, and which are not. You can then adjust and optimise your budget accordingly. When planning your inbound marketing budget, your goal should be to maximise what you get out of what you put in, getting the best possible results from your marketing spend. After all, when you report the results of your marketing efforts to your CEO and CFO, they are likely to care most about the customer acquisition cost and ROI-related metrics, such as customer lifetime value. The way you spend your marketing budget will directly affect the return on investment, so being strategic with where you channel funds is essential. One of the best ways to spend smart is to A/B test, track your data and optimise. Start with small AdWords investments and A/B test different keywords or ad copy before investing more budget into the best performing ads or strategy. Experiment with different headings or layouts for your landing pages and emails to see how this affects your conversion rate and clickthrough rate. Always monitor your performance and improve your results over time. Use our Inbound Marketing Budget Planner template to manage your inbound spend. Our comprehensive Excel spreadsheet will help you plan, keep track of and adjust your budget right now and throughout the year ahead.